The Lyrid Meteor Shower will reach its peak viewing into early Sunday morning with up to 20 per hour. A clear sky is beneficial to viewing, but being away from city lights is a big plus as well. Ig you plan to wake up the kids early or just try to capture the show, here is all you need to know. This is one of the oldest known meteor showers. Records date back 2,700 years. Ancient Chinese records marked 687 BC with meteors falling like rain. There have been years with up to 100 per hour as recent as 1982 here in the US. But the norm is much less. The reason for this shower is dust or debris left from the path of Comet Thatcher. 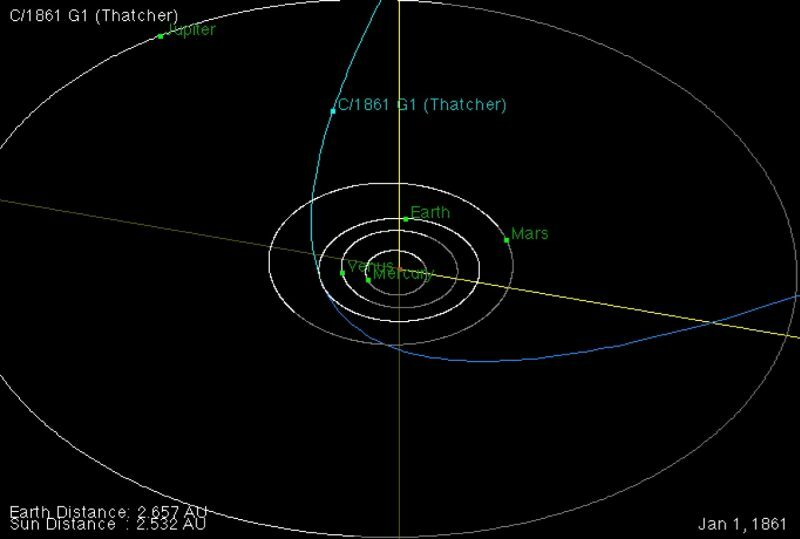 This has a long orbit around the sun of 415 years. It’s last pass was in 1861 and the next one will be in 2276. This sky show should produce 20 meteors per hour. There is a history of long streaks of light lasting a few seconds allowing you to see some even after the pass by (if you miss it). After midnight, but the top show will be between 1:30 AM and 5 AM. If you are truly adventurous, you will need to bundle up and allow up to 30 minutes for your eyes to truly adjust to the dark. This way you will be better equipped to view the faint streaks. Lay down on your back with your feet facing east. Then prop your head on a pillow or bag, and you should be able to enjoy the show. Face east! 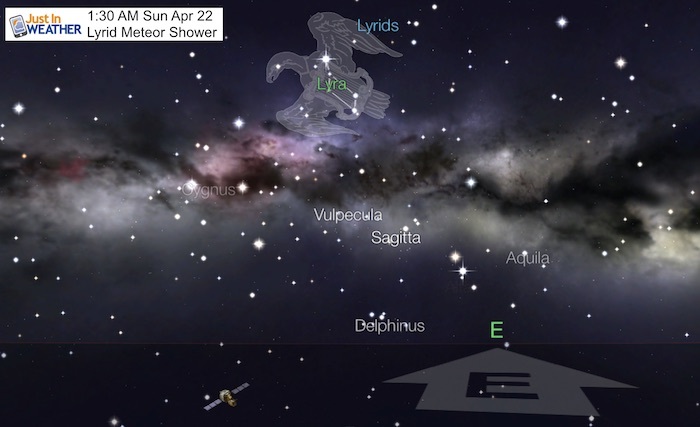 The general direction where the sun rises.The constellation Lyra is where this gets it’s name, which comes from Ancient Greece and the string instrument lyre. The top point is the bright star Vega. The origin of the meteors should be just to the right of that.